This book by Kenneth Payne of King’s College is newly released by Georgetown Press. I saw it mainly by chance while perusing my twitter feed and ordered a copy. 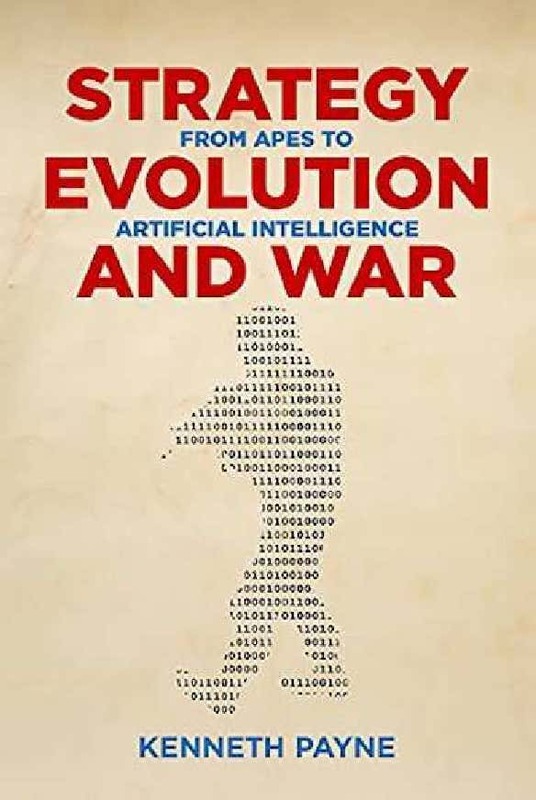 At first glance, it looks very promising, albeit I have a bias toward cultural evolutionary frameworks. Perhaps it will get me more up to speed on the implications of Ai for emerging warfare. Enough to whet the appetite. May discuss Strategy, Evolution and War further after I finish it. What have you been reading in the realm of strategy or war lately? For those who need a re-cap, long time readers will recall Major Jim Gant coming to wider attention with his paper, One Tribe at a Time with an assist from noted author Steven Pressfield, where he called for a campaign strategy against the Taliban from “the bottom up” using “the tribes” because the current top down strategy of killing insurgents while building a strong, centralized, state would never work – the war would just drag on indefinitely until the US grew tired and quit Afghanistan. Gant forged a tight relationship with Afghan tribal leader Noor Azfal ,won some fans with his paper in very high places, including SECDEF Robert Gates and Generals Stanley McChrystal and David Petraeus who gave him some top cover to implement his ideas but Gant also faced formidable resistance and criticism from Afghan government officials, parts of the ISAF chain of command and academics unhappy with Gant’s conceptual emphasis on tribalism. Whether from Plutarch or Zack Snyder’s 300, we all know the command, “Come back with your shield—or on it.” Special Forces MAJ Jim Gant, USA, came back with his shield, but, like his soul, it’s as mortar-pocked as the face of the moon. The narrator of Gant’s Spartan tale is his lady, a word used with chivalric respect. Ann witnesses, validates, and, by writing this book, binds up the many wounds Gant suffered to mind, body, and soul in Iraq and Afghanistan, an act of healing she began in her home in Maryland, kicking Gant of his drug and alcohol habits to get him back into the fight. As Gen James N. Mattis recently lamented in Warriors and Civilians, true, unflinching acceptance of what warriors become through warfighting is rare. Ann’s narrative asks readers to muster a hard-nosed acceptance of Gant in the fullness of his sometimes brutal, sometimes compassionate (Afghans call this blend of virtues nangyalee) warrior soul. He had sacrificed everything at the altar of war. War was, by then, all he really knew. He could not imagine a world where the people he had loved most had become strangers, and where—unlike in Iraq—his enemies were not trying to kill him, making them much harder to find and impossible to destroy. The substance of the book, Gant’s implementation of his “One Tribe at Time” strategy among the Pashtuns and his rise and fall with the hierarchy of the US Army is more complicated and begs for deeper examination. Readers with knowledge of Afghanistan, the Army, American policy or some combination of the three will find nearly as much to read between the lines of American Spartan as they will in the text itself. It is fascinating, really, and the moral implications are deeply disturbing. To summarize, American Spartan lays out a tragic paradox. My impression is that the tribal engagement strategy Gant championed would never have been permitted to succeed, even had he been a Boy Scout in his personal conduct; and secondly, even if tribal engagement had been fully resourced and enthusiastically supported, Gant himself would have self-destructed regardless. A Greek tragedy in a khet partug. Gant has frequently been compared to the legendary Lawrence of Arabia and the fictional Colonel Kurtz. Interestingly, both of those figures died early and untimely deaths, having long outlived their usefulness for their respective armies. Major Gant is, fortunately, very much alive today which may be the only good outcome associated with his fall from grace. Given his predisposition for assuming heroic risks, taking battle to the enemy, chance hazards of war and Gant’s own struggle with PTSD, alcoholism and pills chronicled by Tyson, the bitter vendetta of Gant’s immediate superiors ironically may have kept him from also becoming Afghanistan’s John Paul Vann or Bernard Fall. Gant is not a Colonel Kurtz. That charge would be a slander; nor is he really T.E. Lawrence either, though that is a much better comparison. Gant had more bite to Lawrence’s bark and that was at least part of the equation in Gant’s success. The al-Saud and al-Rashid tribes and Turkish pashas did not fear Lawrence the same way Taliban commanders and rival Pashtun subtribes personally feared Jim Gant, whom one of his fiercest anthropologist critics called “very scary”. It was not only tea and beards, nor could it be. 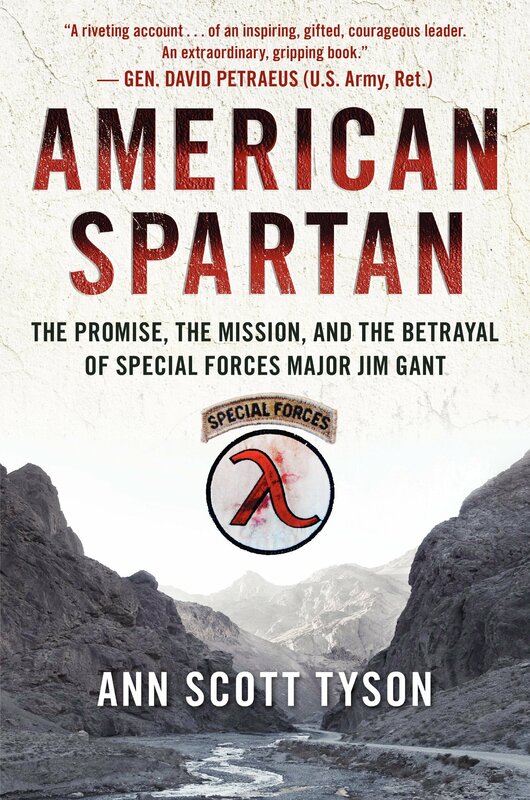 Pick up American Spartan at BookHub today for $1.99! 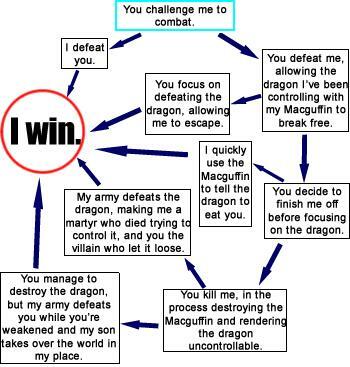 Today, I’m pleased to offer a guest post by LtCol. Bob Weimann, USMC (ret.) . Weimann is the former Commanding Officer, Kilo Co., 3/1 and Weapons Company 3/1. He also served as a Marine Security Force Company commanding officer, an infantry battalion Operations Officer and the Executive Officer of 1/6 during Desert Storm. A frequent presenter at the Boyd & Beyond Conferences, Bob is on the Board of Directors of UAP (United American Patriots) and a contributing editor to www.defendourmarines.com . UAP is a non-profit charity that aids military service members to help defray expenses for an adequate and fair legal defense. See What UAP Believes here: http://www.unitedpatriots.org/ . The expression “boots on the ground” has an extended military-jargon history…The term is used to convey the belief that military success can only be achieved through the direct physical presence of troops in a conflict area … The term is particularly applied currently (2010) to counter-insurgency operations. The expression “boots on the ground” basically means we need to send in ground troops, grunts, warriors, dog-faces, jarheads, combatants…those shifty eyed fowl mouth two fisted go for broke Soldiers and Marines that close with and destroy the enemy by fire and maneuver in order to kill the enemy. These are the folks that must place the front site of their rifle on an enemy and pull the trigger. These are warriors brave enough to step through the doorway of an enemy occupied house, detect and disarmed an IED, engage a treacherous enemy that does not take prisoners and an enemy that does not hesitate to torturer and murder innocents. Our warriors are the sons, daughters, sisters, brothers, fathers, mothers, neighbors, and acquaintances from every community, town, city and state across this country and one of the greatest representative cross sections of patriotic American citizens in existence. Our warriors are a different generation but they possess the same spirt America’s warriors have establish and exhibited since the Revolutionary War. For over 240 years these folks have never let us down and have volunteer for the nasty, dirty, immoral, brutalizing effects of combat. You can say we lost in Viet Nam, Somali, Iraq and Afghanistan but the scary truth is we lost those wars strategically after we won them tactically. The unfortunate reality is that the strategic always trumps the tactical. Tactical is all about the troops; strategy is all about the generals. The other scary fact is that since 2003, we have seen an unprecedented number of courts martial that the media labels “war crimes” … more “war crime” legal cases since 2003 than in all the battle history of all the United States war’s combined. How can this be possible when we have fielded to today’s battles the best trained, best equipped, smartest warriors in this country’s history? The issue is not the troops, the issue here is the senior military leadership, the general officers that have forgotten they are warriors and exhibit the traits and leadership characteristics of politicians. Today’s general officers understand careerism but do not understand the Laws of War that should be their stock and trade. They hid behind lawyers and Rule of Law equivocations that cannot co-exist on a battlefield. For this reason, we cannot put combat boots on the ground because the troops are being used as political cannon fodder. Over and over again we see American combatants thrown under the bus for the sake of justifying a policy objective of executing a bad military strategy. Names like Lt Ilario Pantano, Sgt Larry Hutchins, SSgt Frank Wuterich, Sgt Michael Williams, Sgt Jose Nazario, 1Sgt John Hatley, Sgt Derrick Miller, Capt Roger Hill, Lt Michael Behenna, Major Fred Galvin, Major Matt Goldsteyn, PFC Corey Clayett, GySgt Timothy Hogan, SPC Franklin Dunn, SSgt Osee Fagan, SPC Michael Wagnon, and Lt Clint Lorance are the more notable cases. You can be certain that the list will continue to grow not only with the recent Afghanistan Kunduz Hospital Airstrike but also any combat actions against the terrorist in Iraq and Syria. Military campaigns are always based on a “kill or capture” strategy, however, our leadership does not believe in a kill strategy nor do they believe in a capture strategy. Our military leadership believes that our Soldiers and Marines are in combat to die for the “greater good”. Instead of capture, we have a “catch and release” program that continually frees known enemy combatants and terrorist to again kill, not only our service members, but also civilians. “Catch and release” is nothing more than a treachery award program for the enemy. Our generals believe that our combatants have no right to self-defense on the battlefield. The idea that our warriors are there to make the enemy die for their cause is a lost priority in our general officer’s politically correct minds. We cannot put boots on the ground because our generals do not trust our Soldiers and Marines to show the initiative necessary for successful combat operations. The generals have forgotten how to fight and win. They have forgotten how to support our warriors by setting the correct strategic policies to allow them to fight. We no longer have combat commanders. The Washington DC political cronies continue to dedicate failed policies that undermine and kill our warriors in order to acquire political curry and favoritism. War is not a moral exercise. There is no morality that can justify the slaughter of war. War is the ultimate competition that is won by killing the bad guys and bringing our warriors home alive. Collateral damage is an unescapable reality. Yes, collateral damage considerations are important but collateral damage must be weighed against military necessity. The Laws of War principle of military necessity allows for a rigorous war; a rigorous war is a short war; and a short war minimizes civilian casualties. Mixed into military necessity is the idea that field commanders have a responsibility to bring home alive as many of our warriors as possible. Sending them to Leavenworth is not part of the “bringing them home” equation. While pop-centric COIN may be dead, small wars and irregular warfare will always be with us. We might say they are in the fourth or fifth generation; are an open-source insurgency; or have become “hybrid“; or exist in some kind of mysterious “gray zone“. Whatever we call them, small wars are here to stay. Two recent publications explore the topic. I strongly agree with Bunker’s “dark spirituality” angle present in deviant religious-military movements. For example, ISIS, for all its protestations of ultra-orthodoxy in its Salafism exudes a spirit of protean paganism in its words and deeds. ….The current generation’s trend in understanding Clausewitz is that of moving beyond On War – an analysis which Clausewitz himself considered incomplete and which was published posthumously. As part of this shift, 2015 alone saw the publication of a new account of his life, together with a biography of his wife and a comparison between Napoleon’s and Clausewitz’s ideas on war, to name a few. Through Clausewitz on Small War, Christopher Daase and James W. Davis make a significant contribution to such efforts of contextualisation. Yet theirs is quite distinct from other works, in that they translate into English writings that were thus far accessible only to those with a reading knowledge of German. This is precisely where the value of the book lies, as well as being the editors’ primary aim: opening up Clausewitz through translating his own words, rather than in interpreting them. In doing so, they offer the tools through which future analyses can be better informed. The editors nonetheless do set out a case in the introduction: Clausewitz’s writings on ‘Small War’ are testimony to his continuing relevance. To illustrate this, they offer four chronologically arranged texts – a journey of how his thinking on Small War evolved. Each text was written with a different frame of mind. The first is comprised of lecture notes on small-unit warfare that are informal and rather technical; the second and third are memoranda distributed to military reformers and through which Clausewitz passionately makes the case for militias; and the final is a chapter from On War, again on the arming of the people. I would add that ZP contributor, Lynn Rees, also had a recent post on the role of Marie von Clausewitz in shaping “Clausewitz” and Clausewitzian thought.